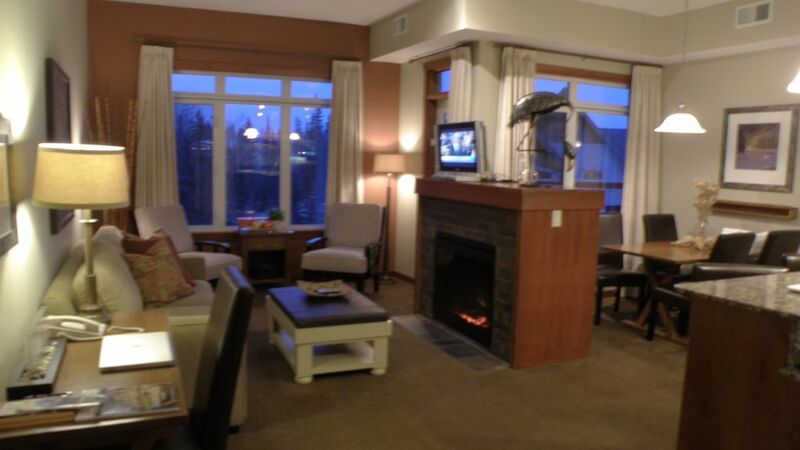 Very nice condo and close to all the ski resorts that we wanted to visit! We enjoyed our stay. The kitchen was really nice and had everything we needed to make meals for our hungry boys. Wi-fi service was a bit spotty. Great location to get to downtown Banff in just 15 minutes or so. Will definitely come back. Place was clean and close to everything in Canmore. Gio and Wes are accommadating to our needs and we felt welcome and comfortable. Surprisingly even the sofa bed is comfortable to sleep on for our 5th guest. Place has everything you can possibly need. Even cute little popcorn momental to use with complimentary bag of popcorn to eat if you want to stay in and watch a movie or play board games. Thank you for everything! Great condo, well stocked and extremely comfortable. Everything was top shelf and couldn't have worked better for us. Fantastic views of the mountainS kept the thought of where you are at the forefront of your mind all the time. Really close to 4 great ski areas. Hosts were awesome and you can tell that their first concern is your comfort. Plenty of dishes and glasses so you can actually use the dishwasher with out running short on anything. Beds were very comfortable. Top flight all the way. We will be back. Amazing stay at an amazing location!! We have stayed at many condos in condo and this one was by far the best! The kitchen was fully stocked that let us cook our own meals and the condo was very comfortable and spacious which helped us have a very comfortable stay! Blackstone is a great place to come all year round! We especially enjoyed the outdoor hot tubs/heated pool after a long day on the slopes. The location was excelent! Close walk to all the restaurants and bars in Canmore. The park pass inside the condo was a nice extra we didn’t expect which saved us some money! It was a very enjoyable stay and I would recommend this place to all our family and friends! Call me with offers on Vacant days....We are flexible!! !